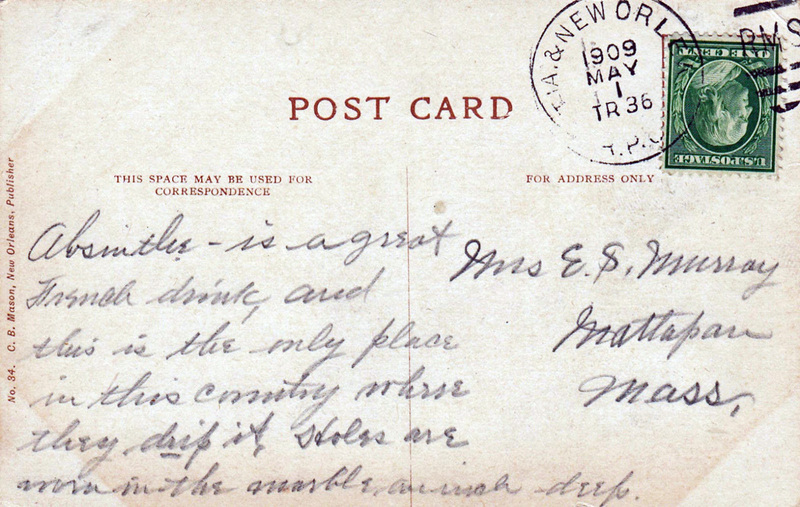 Occasionally one finds a surprise on the written side of a vintage postcard. "Absinthe is a great French drink, this is the only place in this country where they drip it, Holes are worn in the marble, an inch deep." 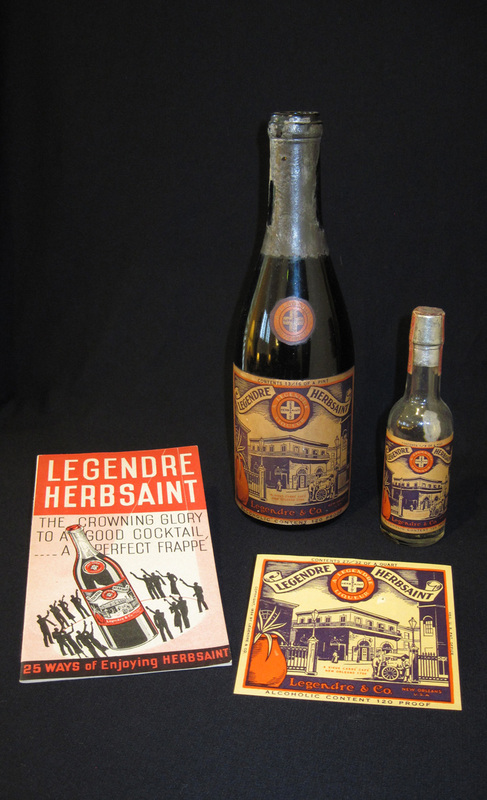 March 1st, 2014 Legendre Herbsaint, The Spirit Of New Orleans, turns 80! 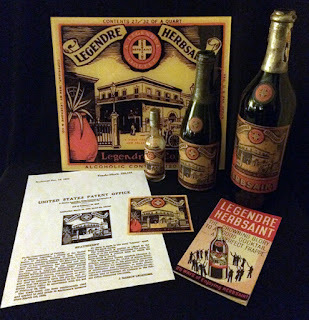 A little grouping of 1934 Legendre Herbsaint items, including the earliest known '34 Herbsaint pint bottle, a '34 Herbsaint Mini, a 1934 Legendre Herbsaint Booklet,22 Ways of Enjoying Herbsaint and an unused 1934 Herbsaint label date stamped June '34, by the Indiana Liquor Control Board. 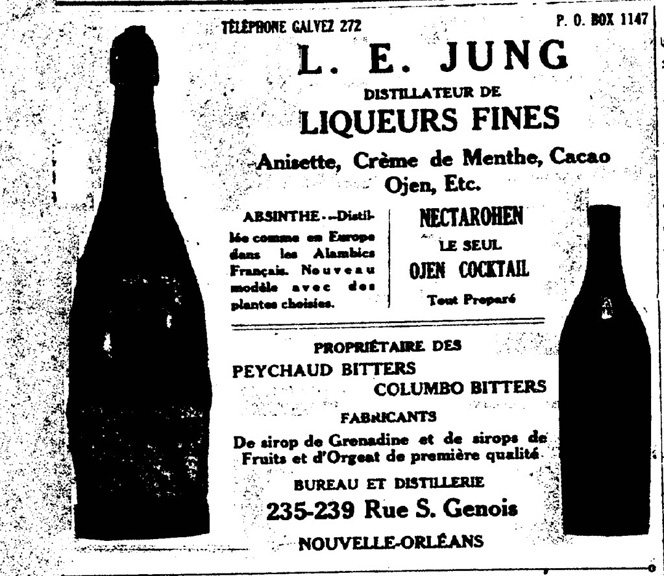 L. E Jung distilled absinthe, among their many types of bitters, liquers, and liquors during their roughly sixty year history. 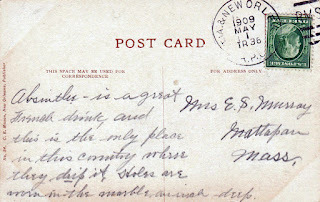 From the surviving information, it appears that L.E. Jung produced a copy of C.F. 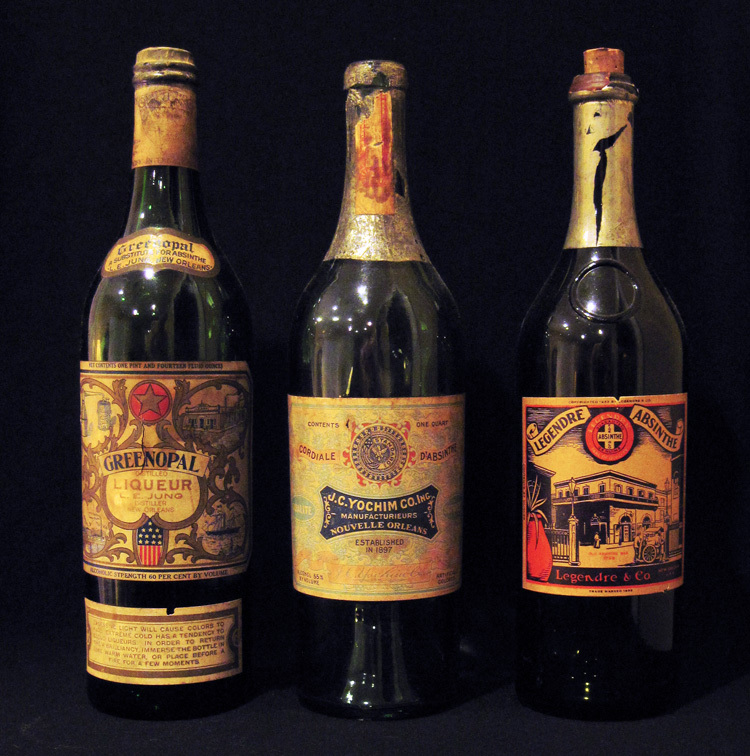 Berger's absinthe , both as a verte, and a blanche. When the USA banned absinthe in 1912, L.E Jung would reformulate their Absinthe in 1913 and produce what may well have been the first American Absinthe substitute, called GREENOPAL. 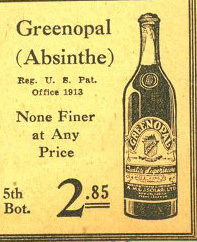 During this period Jung & Wulff would use a rotating group of names for their absinthe substitute, trying to gain market traction for their product. 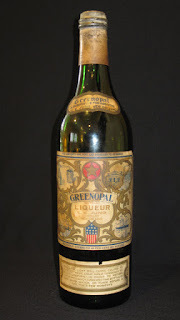 Greenopal would resurface under the house brand of Solari’s market in the mid-1930s. A quick iPhone photo to preview a coming attraction. The New Orleans Absinthe Manufacturers Association. 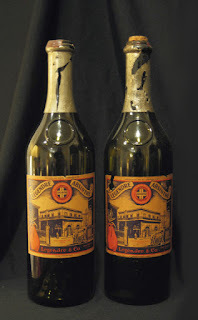 Below are two of the three New Orleans distillers that formed The New Orleans Asbinthe Manufacturers Association. Two surviving Legendre Absinthe bottles from the earliest days of Legendre & Co.
Legendre Absinthe was the original name for Legendre Herbsaint, appearing after prohibition was repealed during December 1933. 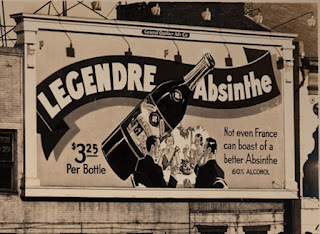 Below is a billboard on Canal St. in New Orleans, Dec. 1933 announcing Legendre Absinthe. With Legendre Absinthe, J. Marion Legendre had an advantage over his other competitors in the spirits industry, Legendre Absinthe did not need years of barrel aging like other spirits, so J.M. Legendre was able to have Legendre Absinthe bottled and ready for sale during the first month of repeal. Below is a Newspaper ad for Legendre & Co., Dec. 31, 1933. A surviving Legendre Absinthe Booklet from the Sazerac Co. collection. 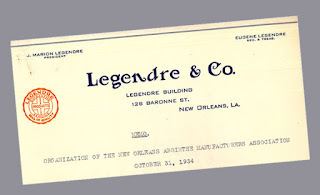 Unfortunately for Legendre & Co., the Federal Alcohol Control Administration would be unprepared to regulate the spirits industry, and properly deal with the rush of business during the early days of repeal, and by the first few months of 1934, the Federal Alcohol Control Administration, would require that Legendre & Co. remove the word absinthe from the label. Legendre & Co. was not the only New Orleans distiller caught up in the post prohibition legal confusion, regarding absinthe, two other old time New Orleans distillers would also find that they too, would have to remove the word absinthe from their labeling of their products. Stay Tuned & Happy New Year! 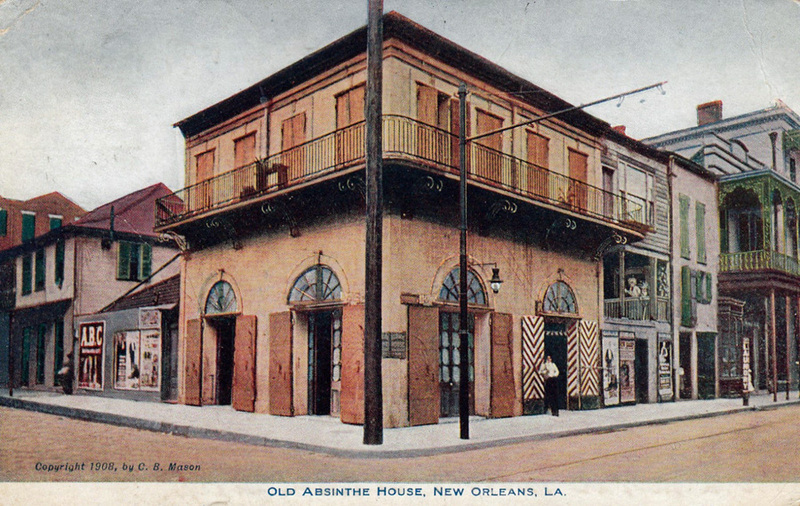 December 5, 1933 Repeal of Prohibition is celebrated at The Old Absinthe House, as documented by a recent postal card find. 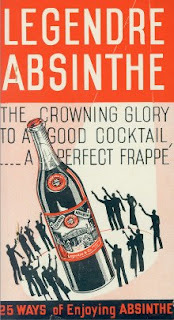 It is quite interesting to see the writer celebrating repeal at The Old Absinthe House, and mentioning "You Have No Idea What Absinthe Does To The Soft Southern Drawl". 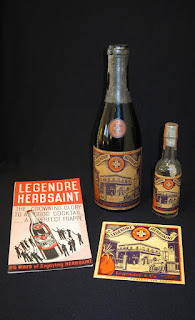 One might wonder whether it was left over pre-ban absinthe, or perhaps some of Mr. Legendre's early product to toast the end of prohibition.